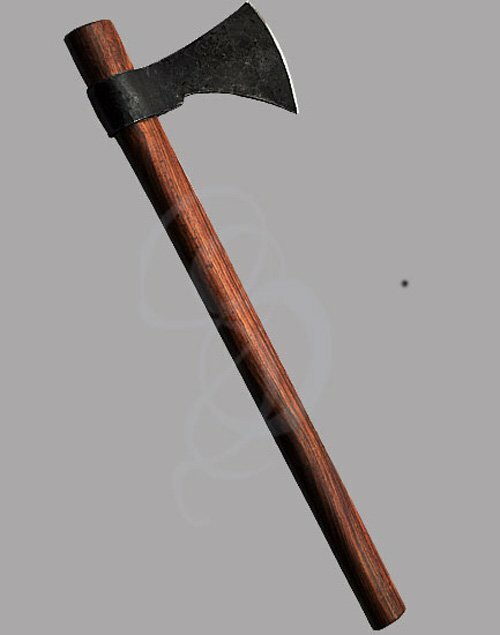 This a replica of a Viking throwing axe. 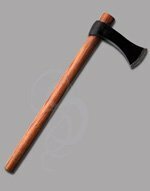 The axe head design, the weight and balance are designed for throwing. 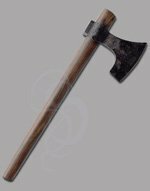 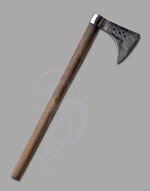 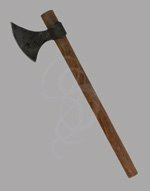 The axe is 20 inches in overall length and features a sharpened carbon steel axe head and 16 inch hardwood handle.